We can help you build the swimming pool or spa of your dreams! From initial design concept to completion of all phases of construction, Watson Pools Inc. is your complete aquatics professional for residential and commercial projects. 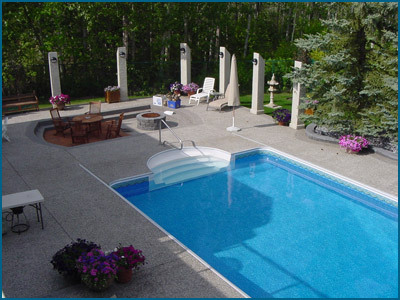 If a swimming pool or spa is part of your dream backyard you need to start your planning with a pool and spa expert. At Watson Pools Inc. our staff can help make your backyard dreams a reality. We have the design expertise to help make your dreams come true. 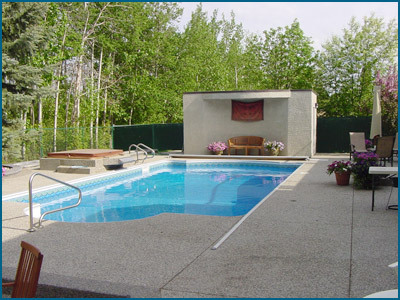 We offer a wide variety of potential pool and spa designs to our clients. We can incorporate a complete backyard landscape plan from hardscape finishes to planting suggestions into your backyard design. 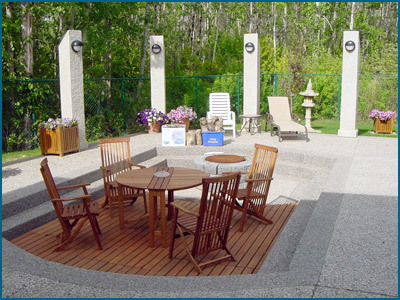 From built-in barbeques, custom fireplaces to outdoor kitchens and custom gazebos we can design and build your dream backyard. 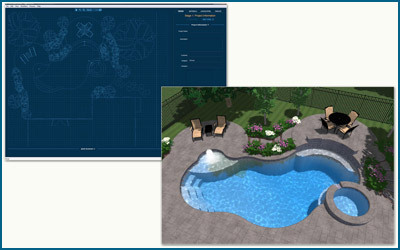 We offer computerized pool and landscape design. Our design programs allow us to design and plan your pool and spa installations as well as your backyard landscaping. The programs 3-D rendering allows for a complete visual review of the design to help envision your new backyard. Our staff can manage your entire project from start to finish. In addition to our highly trained journeyman plumbers/gas-fitters, we have skilled trades available to complete all aspects of your projects. We have skilled tile-setters, carpenters, electricians, landscapers and concrete finishers to name just a few of the trades we have worked closely with for decades. 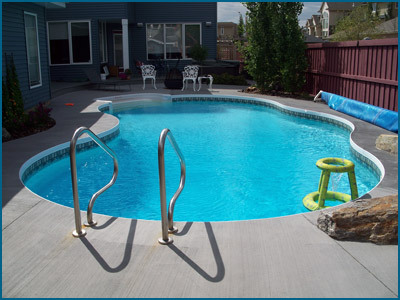 Highbury Pools is our preferred in-ground and on-ground pool package provider. 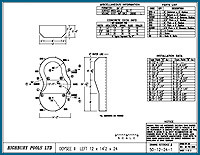 They offer a complete range of pool shapes and sizes that can be accessed on the Highbury Pools website.